On the outskirts of downtown Traverse City, Michigan, just beyond the northern tourist bustle of Front Street but before reaching the vast expanse of shopping centers and strip malls that serve as the consumer mecca for the smattering of towns that dot the upper half of the lower peninsula, is the old Traverse City State Hospital. You’d be forgiven for missing it as the only sign of its existence from the main roads is a bunch of roundish stones that have been cemented together into a giant pyramid-shaped paperweight to mark the beginning of the hospital’s grounds. It is out of sight by design, as the Traverse City State Hospital was initially christened the Northern Michigan Asylum for the Insane when it was built in 1885. The building itself, or at least what’s left of it, is a monument to the type of sprawling Victorian architecture that fills so many college campuses in the midwest, constructed in a series of interconnecting wings to provide residents with maximum access to sunlight and fresh air. For much of the 20th century the Asylum provided a type of treatment known by the name “beauty as therapy”, in which residents were encouraged to do farm work and experiment with trades like woodworking to find purpose and tranquility in an era before the advent of drug therapies. Dr. James Decker Munson, who served as the facilities administrator for the first 40 or so years of its existence, cultivated such a successful program at the Northern Michigan Asylum that it was significantly expanded in the 1920s to include care for contagious disease outbreaks, the elderly and those suffering from substance abuse. Munson Medical Center, which replaced the hospital on the asylum grounds and now serves as the medical epicenter for Northern Michigan, was later named in his honor. Beginning in the late 1950s, Traverse City State Hospital began experiencing a gradual exodus of funding that would eventually lead to its closure. With the passage of The Community Mental Health Act by the Kennedy Administration in 1963 and the introduction of Medicare and Medicaid two years later, deinstitutionalization began to take its toll on the hospital. State funding for mental health care dropped off as federal programs took up the excess slack and the focus on intensive residential treatment was replaced with one that emphasized community-based outpatient treatment and the use of pharmaceutical therapy. After Ronald Reagan laid waste to mental health care funding during the 1980s, the hospital became unsustainable and was forced to close in 1989. Luckily, from an aesthetic standpoint at least, developers have stepped in and begun rehabbing the old buildings and hospital grounds for use as a retail space for art galleries, artisanal food shops and restaurants. 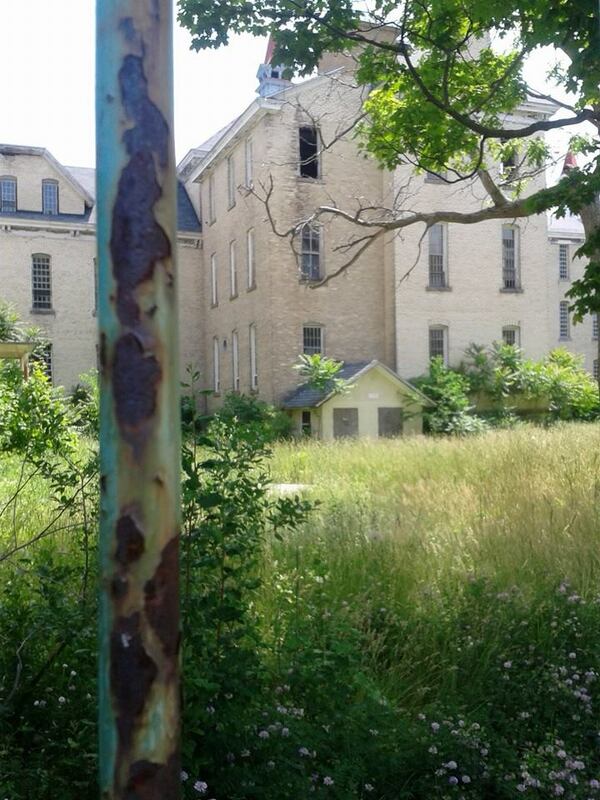 The majority of the mental health services that were under the purview of the Traverse City State Hospital have been either eliminated or transferred to a series of private, for-profit facilities and outside organizations that are contracted by the State of Michigan. The Traverse City State Hospital is basically a microcosm for what has happened in mental health service provision over the past 100 years, minus the whole repurposing old facilities into high-end shopping centers bit. The creation of Medicaid and Medicare in the mid-1960s essentially signaled the death of the mental health system as it was then, creating a fairly rapid shift in funding streams from state and local governments to the Federal government. Between 1972 and 1990, the number of inpatient psychiatric beds in state and county hospitals was cut by 70 percent as third-party payers began to take over the mental health landscape. After deinstitutionalization began in earnest under President Reagan, the transition between the state and local government-centric community mental health model envisioned by the Kennedy Administration began to give way to the public health model that is largely comprised of Federal entitlement programs and private insurance providers. For example, state and local behavioral health spending accounted for about 35% of all mental health treatment expenditures in 1986. By the time we get to 2009, state and local sources are providing less than a quarter of all mental health treatment care costs, which had increased 454% in the intervening 23 years. With the Affordable Care Act and Medicaid expansion well under way and mental health parity regulations being, at least in theory, the law of the land at the present, it is difficult to anticipate where we will end up in ten years time. It is a fairly safe bet that Federal spending on mental health will continue to rise at a lightning pace due to the nature of the Medicaid expansion, which places a minimum of 90 percent of the costs on the Federal government while extending comprehensive mental health care to tens of millions of low income Americans. It is also more than likely that the health gap in this country will become exacerbated by this new legislation, an idea which seems counterintuitive considering the entire point of the Affordable Care Act is to reduce barriers to health care and create a more egalitarian health system. However, thanks to the infinite wisdom of The Supreme Court, state governments have been given an irresponsible amount of power in their legal right to refuse Medicaid expansion and essentially tell their constituencies that they will have to forgo medical care because of an ideological tiff between two political parties who don’t have their best interest in mind. This latitude which has been given to state governments and which is arguably in violation of the supremacy clause of the Constitution, is further cementing a two-tiered mental health system in this country in which the healthy get healthier and sick continue to be ignored by the system that is supposed to be protecting them. As of right now, 29 states (and DC) are participating in Medicaid expansion in one way or another, while 21 states have elected to not take part. Of those 21 states, only a third are in the top half of the nation’s health rankings and 6 rank among the bottom 10. It looks like some states are replacing old state funding with Federal funding, while other states aren’t replacing old state funding with anything and no one, it seems, is interested in making sweeping changes to a mental health system that does little more than put band aids on the bullet wounds of our nation’s severely and persistently mentally ill. I lived in Traverse City for a while and wound up in a prayer group praying about this place. It is nothing like what you see in this picture Today it is remodeled into a useful place and beautiful with multi-functions similar to the earlier years. It has affordable rooms for people who need to stay overnight when getting hospital care at Munson Hospital and more. Thanks for posting this article it was interesting to read of the history.